Children can create art with paint, chalk, pens, crayons, markers, and more, all at one convenient station. And when art time is over, parents and caregivers will appreciate the two-sided easel’s easy-to-clean design. Designed for kids ages three and up, this easel will provide hours of creative activity that is both educational and enjoyable. 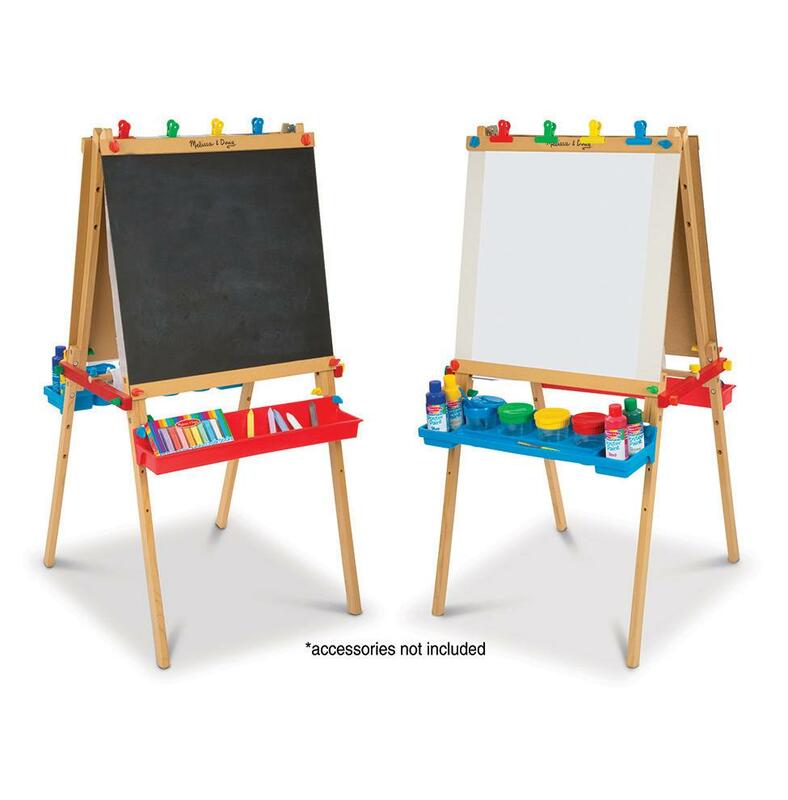 The easel features a bi-fold wood frame with two art stations, one on each side, which allows two children to work at one time. 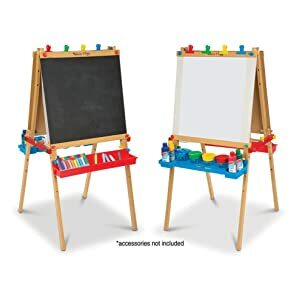 It’s also designed to let children experiment with several different art media: on one side is a chalkboard, on the other is a dry erase board, and in between the two easel sides is a dowel for holding a butcher paper roll. The easel includes sturdy clips that can hold oversized individual art papers onto the easel's surfaces. Painting can play to the imagination of children, is a kind of expression of square painting can exercise the child small flexibility and coordination, is to cultivate children good at a good way to observe things and understand things characteristics.Drawing can also develop the right hemisphere of the brain, which is also beneficial for developing intelligence.